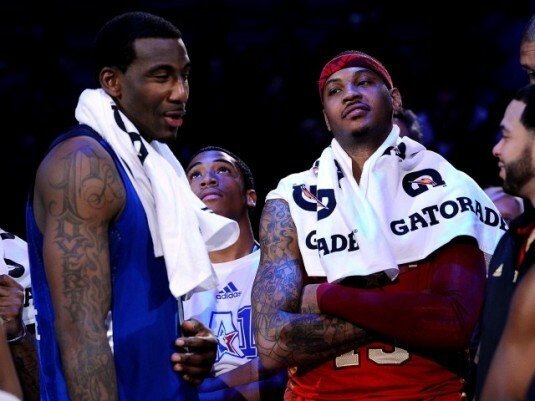 Cultural Compulsive Disorder: Yup, Here Is The NY Knicks New Theme Song... Stat & Melo!!! Yup, Here Is The NY Knicks New Theme Song... Stat & Melo!!! Check out the new remix of Wiz Khalifa's hit song 'Black & Yellow' by rapper Marquise Green, called 'Stat & Melo' in reference to Amar'e Stoudemire & Carmelo Anthony teaming up in NYC. Great song made greater due to all the NY symbolism and the fact that this is a reality. Carmelo is in NYC!!!!!!! I'm pre-ordering my jersey TODAY son!!!! This is really neat! I love it!